We are just over halfway to our goal of $20,000! Thank you for your support and please spread the word! 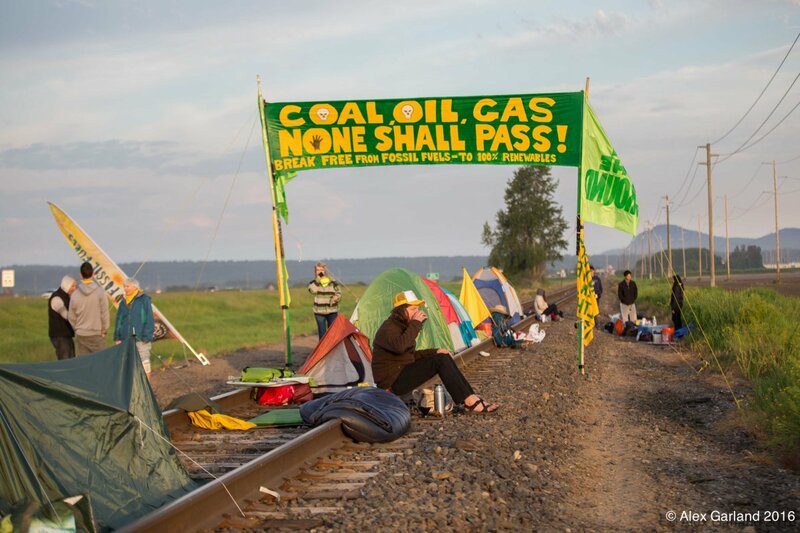 In May of 2016, dozens of activists were arrested after blockading a train track heading to the Tesoro oil refinery outside of Anacortes, Washington. This action held the tracks for 36 hours and was coordinated with an international series of actions known as Break Free. Pressured by this action and years of local organizing, Shell withdrew their proposal for a rail spur to their refinery, which neighbors the Tesoro refinery on March Point. This rail spur would have doubled the amount of oil trains passing through Mt. Vernon and the Swinomish Tribal Reservation. Direct action works! Now 39 of those activists are going to trial and they need your help! Expert witness expenses and legal costs add up quickly. Your financial support shows these activists that you've got their back and support the struggle for climate justice. This fund is administered by volunteers, so 100% of donations will go to court costs. You may receive updates from Rising Tide Seattle, the sponsor of this fundraiser.